The Edit Lint Configuration dialog will pop-up. You can define as many lint configurations as you need. Chose Lint With -> Lint Configurations... to see all the available lint configurations. The Project. It is filled in automatically with the selected project in the Navigator View. The Ruleset XML. Mandatory for a Custom lint session. Note: The same UI works for defining XVM Compliance or All Rules/Verissimo lint configurations. The Waivers XML. 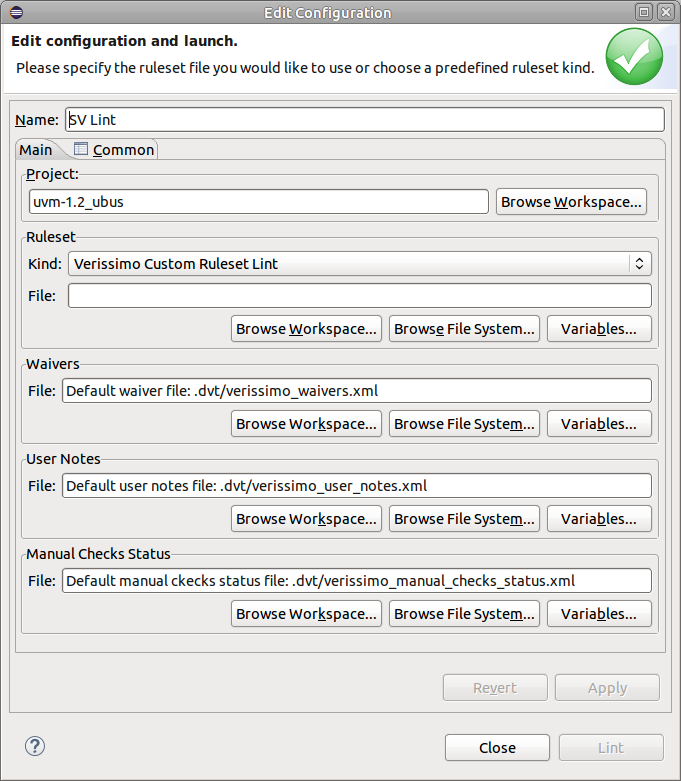 Optional, by default waivers are serialized in the project's .dvt folder. The User Notes XML. Optional, by default notes are serialized in the project's .dvt folder. The Manual Checks Status XML. Optional, by default notes are serialized in the project's .dvt folder. Lint configurations can be serialized on the disk and shared with the team. 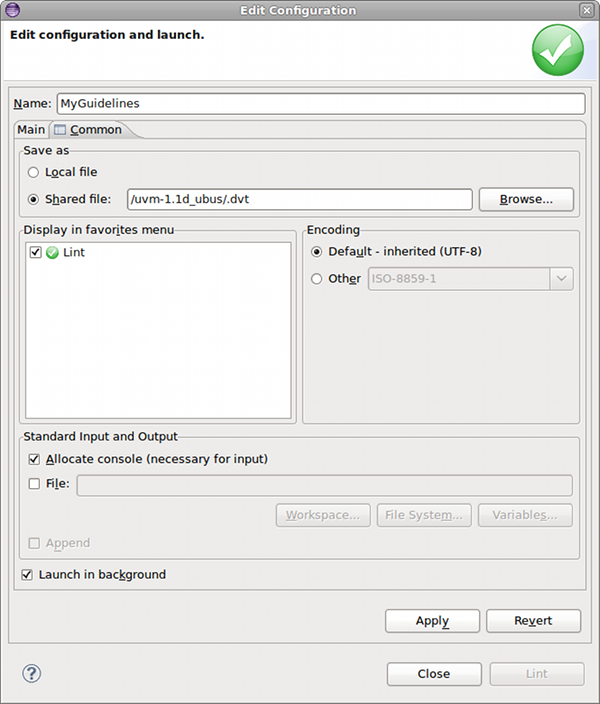 In the snapshot below a MyGuidelines.launch XML file is created in project's .dvt folder.